This home knit jersey was worn by Rick Sutcliffe just one season before his Cy Young season. 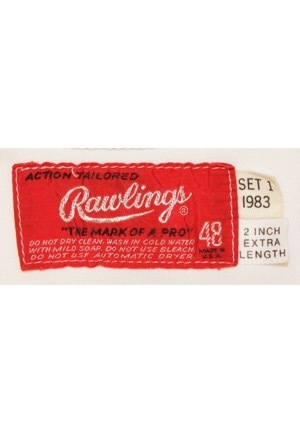 In the rear neck is the Rawlings manufacturer’s tag size “48” with washing instructions. Attached are two flag tags reading “SET 1 1983” and “2 INCH EXTRA LENGTH”. 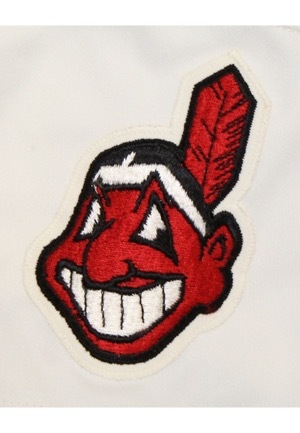 On the left sleeve is the Indians “Chief Wahoo” team logo patch. 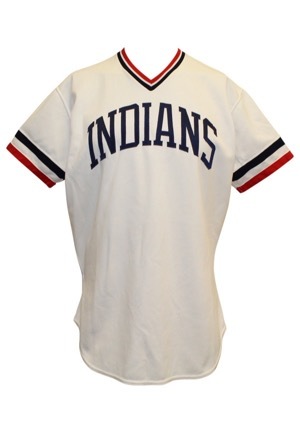 Across the chest reads “INDIANS”. 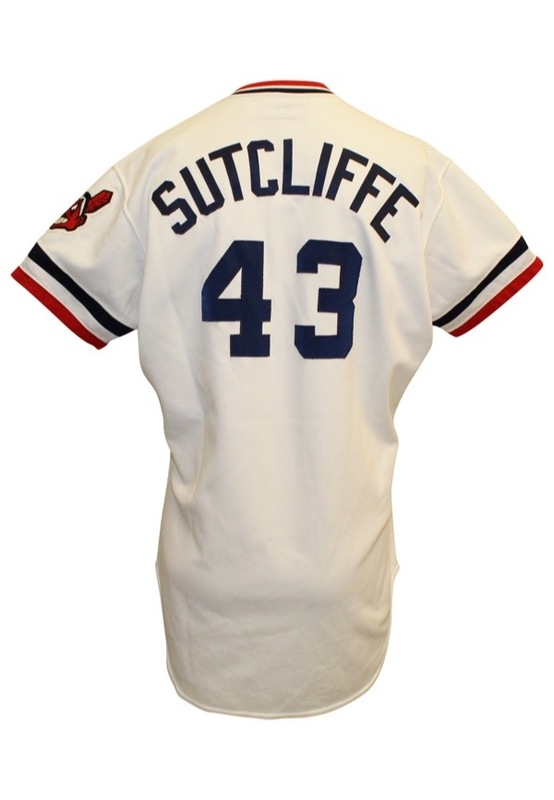 Across the back the back reads the player name “SUTCLIFFE” and below is the player number “43”. All numbering and lettering is done in blue tackle twill sewn directly into the jersey. This jersey is properly tagged, was presented to us as game-used and in our opinion shows appropriate use.